When life is full of troubles and hardships, do we flock to greener pastures or put our hope in the Lord? Derek Chan discusses how we can be steadfast in our faith, especially in times of trouble. Derek Chan graduated from University of Toronto with a BS in Computer Science in 2006. Afterwards, Derek worked as a Computer Consultant for a downtown IT firm which paired himself with a number of fortune 500 companies throughout Canada and the US for 5 years. Following a call to ministry in 2011, he joined Tyndale as an occasional student and would graduate with his Masters of Divinity in Biblical Studies in 2014. He is currently licensed as a pastor with the Christian and Missionary Alliance and is serving at Rouge Valley Church. 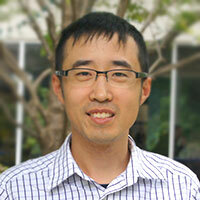 In addition, he serves the Tyndale IT team as a Database Business Analyst.